Home › running › Milestones! 10,000 Views! A Visit to the Baseball Hall of Fame. Milestones! 10,000 Views! A Visit to the Baseball Hall of Fame. I have found out that being off of work seems to interfere with my blog postings. It seems that since I run at different times, I don’t get my posts scheduled. On a good note, it means the notifications are being mailed out as soon as I write it! 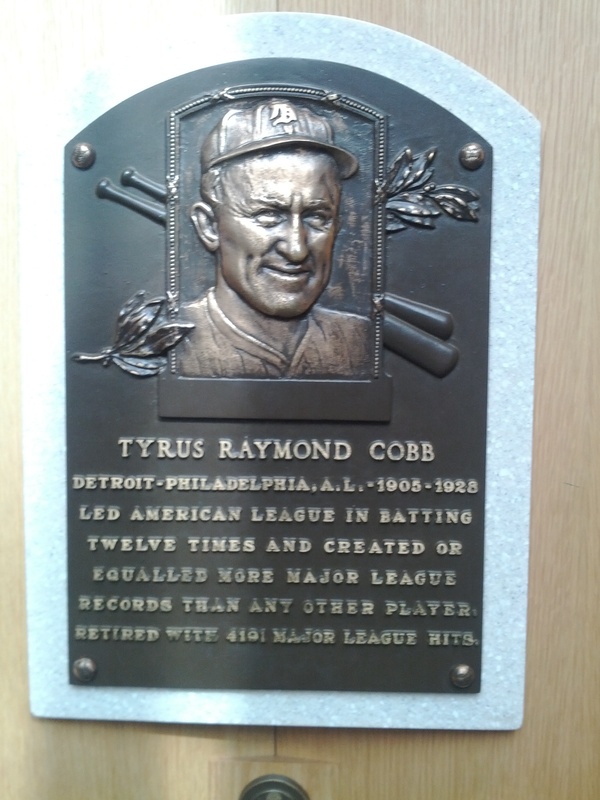 So, yesterday I headed up to the Baseball Hall of Fame in Cooperstown, NY. Being a runner – baseball isn’t exactly my “thing,” its not my wife’s “thing” nor my children’s. BUT spending time with family IS our “thing.” Since my brother-in-law’s family does have a “thing” for baseball – this was one of the places they wanted to see – so off we went! 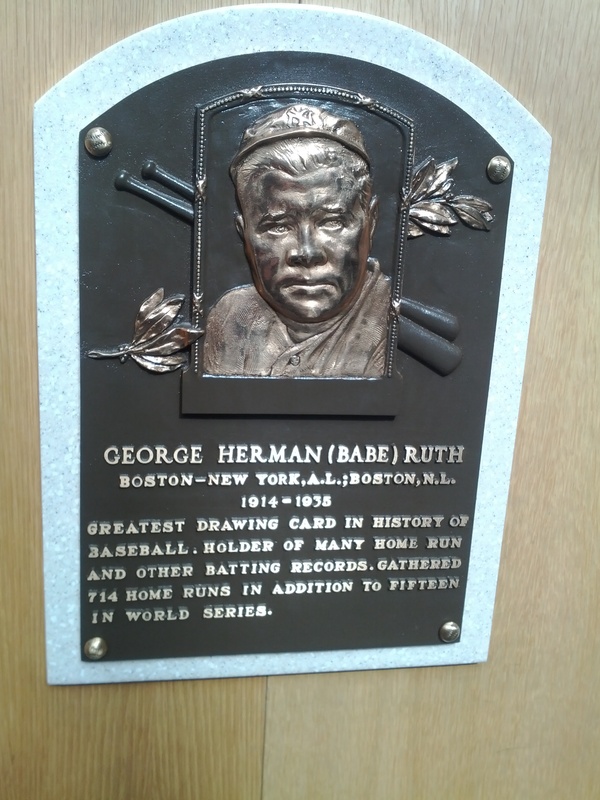 Now, even a runnernerd like myself, that is familiar with names like Ryan Hall, Abebe Bikila, Walter George, and Katherine Switzer knows SOME baseball names. Babe Ruth, Ty Cobb, Jackie Robinson and even Shoeless Joe Jackson (thank you Field of Dreams) are names that mean something to me. The “All-American Pastime” isn’t lost completely on this American. 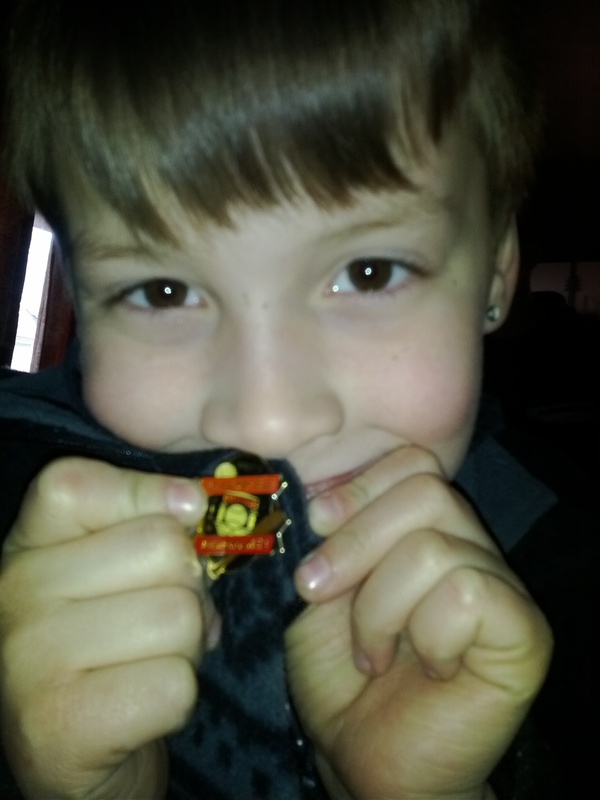 Bryce with his pin from completing the scavenger hunt! Back to the running side of things – I headed out today on a 5.01 mile run. I could get used to this running at 9 AM. I just need to find a way to have money at the same time. Maybe winning the lottery? ‹ 7 Miles done! Off to the baseball hall of fame! Sounds like you had a good time… I am planing a trip up there myself next month should be fun…. It will probably be more interesting for you. I’m not (and nor is my wife or kids) much of a basebal fan..
but it was still interesting to see!